To heal the Avalonian way, you'll meet the goddesses who represent the thirteen moons of the year (including the blue moons and lunar eclipses), delve deeply into Welsh mythology, and use herbal elixirs and rituals to improve your physical, emotional, and spiritual health and personal power. 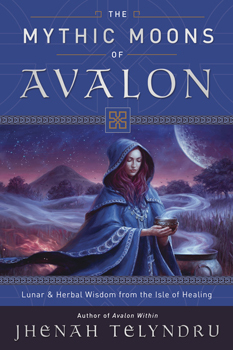 This book examines Avalon as a place of psycho-spiritual healing and rebirth. With it, you'll make powerful herbal and goddess allies on your journey to the sovereign self within.